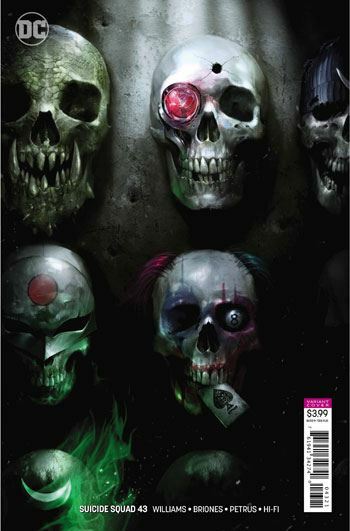 Once again, the relationship of Deadshot and Batman takes centre stage in Suicide Squad. 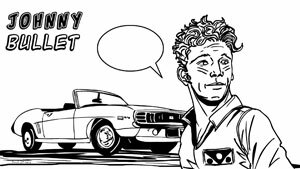 That was the case in the previous issue as well, but there is more than enough history between the two men that the conflicts in this story are not just a recap or repetition. 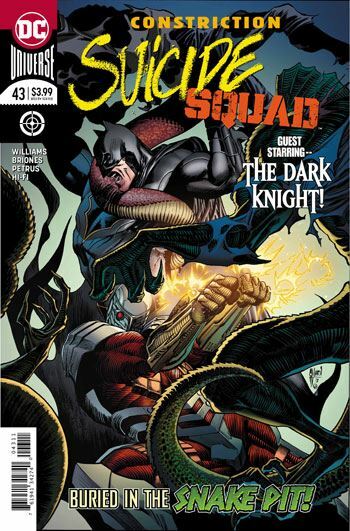 As they battle against the forces of Kobra, and even the other members of the Suicide Squad, Deadshot cannot figure out why Batman brought him along. True, the mission is to rescue Deadshot’s daughter, who we see in the clutches of Kobra. The villain has his own plans for the girl. But Deadshot is correct in his observation that this alone is not reason enough for Batman’s actions, breaking Deadshot out of prison and taking him to the fight. Batman gets furious when Deadshot will not play by his non-lethal rules. This probably would have been an easier outing for Batman on his own. The fact that Deadshot puts so much time into pondering Batman’s motives both indicates that the explanation will be of some importance, and also makes Floyd Lawton more introspective than he often is. Harley Quinn leads Captains Cold and Boomerang to try to stop the pair, and this provides what humour there is in the issue. Harley is going for the laughs, but the way the two men loathe each other makes for far more comedy. Very nice art by Briones and Petrus on this story. They do love drawing scales. Or at least, felt the responsibility to. Art wise, my favourite page is the arrival of the Squad by helicopter. The truly burst into the scene. The layout, with insets for the three Squaddies, definitely makes the most of the event. A strong issue, carrying the story forward, and leaving Batman and Deadshot in quite the cliffhanger.